Time for round two of recent rock-reads to pile into the beach bag, starting with the definitive biography of one of the most important bands of the last century, without whom much modern music is unimaginable. 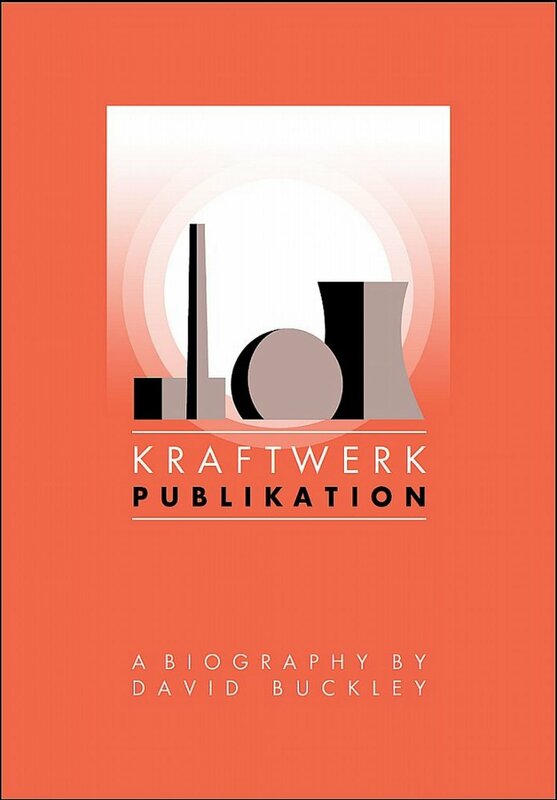 Kraftwerk Publikation: A Biography (Omnibus Press) is not the first attempt to tell the German band’s story; Pascal Bussy’s Kraftwerk: Man, Machine and Music also is a worthy read (and is richer with photos). But with his new book, British music journalist and critic David Buckley, the author of earlier tomes on David Bowie and R.E.M., has given us what is likely to stand as the definitive biography. Granted, there is the nettlesome fact that Ralf Hütter and Florian Schneider, the two primary forces behind the electronic pop band from its start in Düsseldorf in 1970 through its last great album Electric Café in 1986, declined to speak to Buckley, as they have with every other prospective biographer. But Buckley spent quality time with four other key members—former percussionist Karl Bartos (who put out a fine album earlier this year) even wrote the foreword—and his account is rife with other sources. What’s more, the author is such a diligent a journalist that it’s doubtful that the story could have been better told with the mensch-machines themselves cooperating. In fact, it might have hampered parts of the tale, such as the ugly but perhaps inevitable split between Hütter and Schneider, or the necessary skeptical eye turned toward the band’s dicier projects (among them The Mix, the ill-advised attempt to digitize past classics that consumed more than a decade). And this critical distance only makes the praise for the group’s biggest accomplishments stronger. 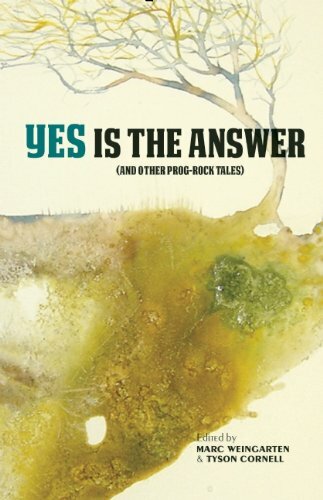 I should issue a gratuitous plug alert before mentioning the next entry, Yes is the Answer (And Other Prog-Rock Tales) (Barnacle Books), since I am among the 20 contributors to this anthology. Truthfully, however, my “Ode to the Giant Hogweeds” (an appreciation of Genesis when Genesis was Genesis) pales in comparison to many of the pieces that editors Marc Weingarten and Tyson Cornell rounded up, including vastly entertaining ruminations from novelists Rick Moody (Garden State, The Ice Storm) on Emerson, Lake & Palmer and local literary powerhouse Joe Meno on Rush. “Progressive rock is maligned and misunderstood. Critics hate it. Hipsters scoff at it,” the jacket tells us, positioning this collection as a rebuke. But its strength is that most of the writers—a group that also includes musicians Matthew Sweet and Peter Case—do a fair amount of scoffing themselves, even as they probe in very personal ways why they love and can, as Moody puts it, “defend the indefensible”—triple concept albums, multi-neck guitars, 20-minute synthesizer solos, and all. “The haters weren’t all wrong, of course. Prog was ridiculous,” Weingarten writes in his introduction. “We loved some of this stuff precisely because it was overblown… kind of like when Evel Knievel jumped over thirty cars.” I know I’ll never think of Tales from Topographic Oceans without thinking of the Snake River Canyon again. Finally, we have a new music magazine that would actually require you to bring an e-reader to the beach, but it would be worth the trouble. UNCOOL bills itself as “a reader-supported music publication for curious people.” In his welcoming missive, founding editor David Greenwald cites the late Paul Williams and the second-generation Crawdaddy! as inspirations, but he’s making the mag available in an interesting new way, via BandCamp as a $3.99 download. Issue No. 1 is branded as “Guiltless Pleasures,” and it’s essentially a very readable and immensely entertaining illustration of the argument that millennial rock crits Greenwald, Simon Vozick-Levinson, and Lindsay Zoladz made during their “Guiltless Pleasures: Imagining a Post-Snob World” session last March at South by Southwest. A transcription of that panel is included, along with essays such as “Dangerously In Love: My Decade With Beyonce” by Jamieson Cox, “Miss You Like Crazy: Canada’s Lost Boy Bands” by Melody Lau, and “He Ain’t Even Know It: On Rick Ross, Rap And Responsibility” by Henry Adaso. As with Yes Is the Answer, we basically have a group of critics here attempting to justify their love for sounds that most other critics either treat in passing or dismiss entirely. This isn’t new, of course; hair-metal maven Chuck Eddy devoted a chunk of his career to it. But what elevates these proceedings is that these young writers don’t resort to Eddy’s shtick or the dense, impenetrable, and ultimately off-putting tone of the “popists” who excoriated we “rockists” a decade or so back. They simply dig deep into examining why they love the sounds they love, and one imagines they’d write just as eloquently about Savages or the Decemberists as they do about the Moffatts. Would I want to read the same theme explored issue after issue? Maybe not. But Greenwald has wide-ranging interests, good taste, and an interesting model for what could be the next great music magazine. And I’m eager to see where he goes next.